The iPhone and other Smartphone devices are becoming an extremely powerful tool for the professional photographer or photography hobbyist. Smartphone cameras are ever-increasing in quality and usability; and with social media platforms like Instagram and Snapchat, taking pictures on the go is becoming a part of everyday life. As photographers, we believe these everyday, fleeting moments can be just as beautiful and well-captured as the images shot with our DSLR cameras, and we’ve put together a list of tips and helpful articles for making the most of your Smartphone camera. 1. Take a Skillshare class on Mobile Photography – here’s a great one to start with! 2. 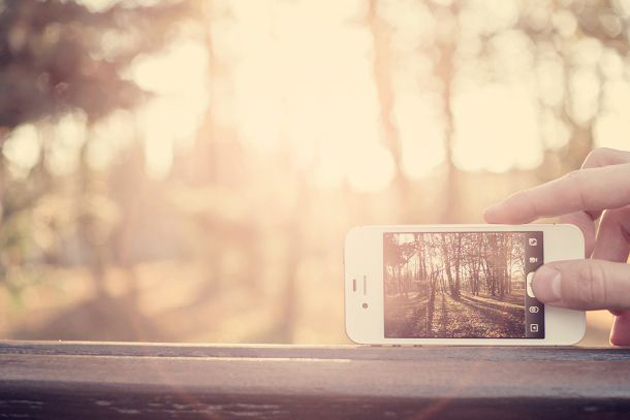 Use your iPhone in the same way you use your DSLR – look for good compositions, use the Rule of Thirds, and make sure you have great lighting. 3. You can use exposure on the iPhone as well – simply tap the screen on different subjects to expose to that area. Clicking on a bright window will underexpose the rest of the shot, while tapping a darker area will overexpose. Here is a great article with some good examples. 4. There are a number of great apps to use with Instagram, like Square Ready, which instantly formats photos for the square format without cropping out any important visual information. 5. Try new attachable hardware like Olloclip, an iPhone attachment that gives photos different effects like fisheye, wide angle, and macro lens. 6. Taking a little extra time to style your photos can make a big impact on your Instagram and on your business. Styling even everday shots can make them more interesting and more engaging. Here are a few Styling Tips from the Etsy Blog. 7. Check out this article on the HelloBee Blog, which gives a long, helpful list of all the iPhone Photography Apps you can use to get different photo effects. 8. Many times what we’re photographing (on the iPhone) are the people in our lives, and in NAPCP, a lot of times it’s our kids! Here’s a great article on getting the best pictures of your children. 9. Since much of iPhone photography results in sharing to Instagram, here is an informative article on Using Instagram to Grow Your Business. 10. And finally, once you’ve mastered all these iPhone photo tips and tricks and are ready to bring them off of your device, we highly recommend Artifact Uprising’s gorgeous Instagram-friendly books. These make a beautiful keepsake! * Be sure to follow NAPCP in Instagram and comment below to share your account!